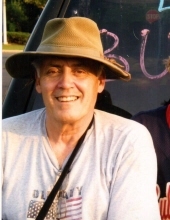 James “Jim” Archibald, of Horsham, died, Wednesday, May 30, 2018, He was 71. Jim was the loving husband of Ann Helen (Cecchini) Archibald, with whom he had shared 49 years of marriage. He received his masters of arts from Temple University. He served in the National Guard. Jim was a Certified Public Accountant. He was employed by SEPTA, the state of New Jersey and Drexel University. He was a member of Mary Mother of the Redeemer Catholic Church. He worked with George W. Bush in Washington. His family was the most important thing to him. He is survived in addition to his wife, by his two daughters, Alison Cavanaugh and Elizabeth Halpine; his two sons, Brian Archibald and Gregory Archibald; 17 grandchildren, 2 great grandchildren and his 4 sisters, Andrea McGill ,Marianne Reilly, Judy Perri, and Denise Katusha. His family will receive relatives and friends from 10 to 11 am, Wednesday, June 6 at Mary Mother of the Redeemer Catholic Church, 1325 Upper State Rd, North Wales, PA, where his memorial mass will be held at 11 am. To share a memory of James, please visit the funeral home's web site listed below. To send flowers or a remembrance gift to the family of James Andrew Archibald, please visit our Tribute Store. Family will receive relatives and friends after 10 am; Memorial Mass begins at 11 am. "Email Address" would like to share the life celebration of James Andrew Archibald. Click on the "link" to go to share a favorite memory or leave a condolence message for the family.